West Indies have announced a second-string squad for the first Test against Bangladesh on Thursday following a boycott by the West Indies Players' Association (WIPA). Cricinfo learnt that 11 players arrived in St Vincent and trained at the Arnos Vale Ground on Wednesday afternoon, hours before the West Indies board announced a 15-man squad. 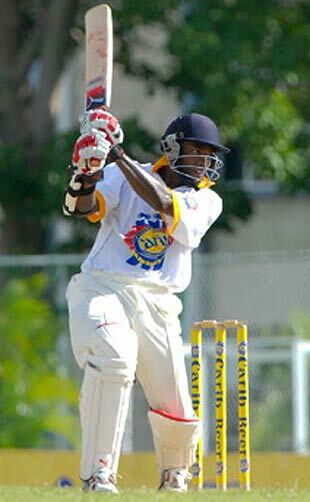 Former top-order batsman Floyd Reifer, who played four Tests between 1997 and 1999 and now plays his cricket for the Combined Colleges and Campus team in the West Indies domestic tournament, was appointed captain, while Darren Sammy, who was part of the recent ICC World Twenty20, was named his deputy. Uncapped players include Barbados' Dale Richards, and Kraigg Brathwaite, a prolific 16-year old batsman, Combined Colleges and Campuses' Ryan Austin, Chadwick Walton, Omar Phillips and Kevin McClean, Jamaica's Andre Creary, Guyana's Travis Dowlin, and Grenada's Nelon Pascal. Richards and Pascal were part of the squad that toured England for a series before the World Twenty20. The 32-year-old Richards missed out on his Test debut when a foot injury ruled him out of contention for the first Test against England in Jamaica earlier this year. Tino Best, the fast bowler, who had joined the ICL for year in 2008, and last played a Test in 2005, has also been called up, as has Kemar Roach, who played two ODIs and one Twenty20 international. Jamaican batsman David Bernard, who played his only Test in 2003, and left-arm spinner Nikita Miller, who has played 15 ODIs, were also named in the squad. Fast bowler Daren Powell, not part of this squad, said he had been asked to join as well. "I was contacted by the West Indies board but I told them I was not available this time," Powell told Reuters. Rabeed Imam, the Bangladesh Cricket Board's media manager, told Cricinfo that as far as they were concerned this was an internal issue of the WICB and their players and that Bangladesh were focused on the match and had been training accordingly. But Mashrafe Mortaza, the Bangladesh captain, expressed the team's disappointment at not playing a full-strength West Indies side. "We would like to play against Chris Gayle, [Shivnarine] Chanderpaul and others," Mortaza said. "I know they are world-class players but still we want to play them because we can learn so many things when those guys are batting or bowling." This is not the first time in recent memory that the players and WICB have been involved in a stand-off. Earlier this year West Indies' spring tour of England was nearly severely undermined after it emerged five senior players had threatened to withdraw from the series to play in the IPL. That crisis was averted, only for more talk of a boycott of the fifth and final ODI between West Indies and England after Chris Gayle indicated his team may not take the field if outstanding issues with the WICB remained unresolved. That too was averted. A similar dispute arose in 2008 prior to Australia's tour of the West Indies. Several senior West Indian players considered withdrawing from the first two Tests of the series to remain in the IPL, but returned after the WICB allowed them to skip a pre-series training camp. The last time West Indies players actually took action, ten players - including then captain Brian Lara - boycotted the 2005 tour of Sri Lanka against a background of unprecedented controversy and confusion. A bitter, protracted row between the WICB and the players' association over sponsorship led to the late withdrawal of ten of the original squad of 13, including Lara, Chris Gayle and Ramnaresh Sarwan. Replacement players were called up for the Test series, which West Indies ended up losing 2-0. Pakistan cricket faced a similar situation in 1976-77, in a home series against New Zealand. In the middle of a pay dispute with the then BCCP, Mushtaq Mohammad and his men refused to play the second Test in Hyderabad. Abdul Hafeez Kardar, the board head, selected an alternative XI led by Intikhab Alam and sent them to Hyderabad. At the very last minute, however, the situation was resolved and Pakistan's strongest XI played, going on to win the Test by 10 wickets. West Indies squad for the first Test Omar Phillips, Dale Richards, Floyd Reifer (capt), Travis Dowlin, Chadwick Walton (wk), Darren Sammy, Kemar Roach, Ryan Austin, Tino Best, Kevin McClean, Nelon Pascal, Andre Creary, Nikita Miller, Kraigg Brathwaite, David Bernard.